The regulation of cannabis in Switzerland is pursuant to the following laws (you may click to access the full laws): 1. Swiss Narcotic Law 1951-10-03 («Bundesgesetz über die Betäubungsmittel und die psychotropen Stoffe (Betäubungsmittelgesetz, BetmG). 2. «Einheitsübereinkommen 1961 über die Betäubungsmittel», active 1970-02-22, Revision 2011-07-01, status 2018-01-01, Comment 2018-01-22. The consumption and possession of less than 10 grams of cannabis is treated only as a simple violation of the law and can be punished in adults with a fine of CHF 100 (Art. 19b (2) BetmG). For minors, juvenile justice continues to apply. The government agencies who are responsible for cannabis regulations are: Federal Office for Public Health, FOPH («Bundesamt für Gesundheit BAG») and Swissmedic (you may click to access the websites of these agencies). Currently there is no specific government agency for medical cannabis, but this is under discussions. legal only for cannabis with max. 1% total THC. Referendum demanding total decriminalization and liberalization of cannabis is in preparation. So far no pro majority in Swiss parliament. Cannabis (floss) in generally not allowed. THC preparations with more than 1% total THC require special FOPH permit. In contrast to THC, CBD is not scheduled, and it is available in pharmacies as CBD-cannabis preparation; pure CBD cannot be prescribed, however, is available e.g. in hemp shops as food supplement. No opposition in Swiss parliament regarding medical cannabis. Most politicians and parties demand easier access to medical cannabis with less bureaucracy and paper work, however, only via professionals (physician and pharmacist). 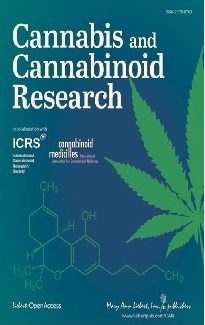 THC and Cannabis are allowed for research, especially when dedicated to development of cannabinoid medicines, but also for laboratory purposes. Such research, however requires special FOPH permit (plus IRB and Swissmedic notification). Cannabinoid medicines, such as Sativa oil or cannabis tincture, THC-based drugs, CBD-cannabis preparations (pure CBD not allowed). Amounts and dosages according to good medical and pharmaceutical practice, not regulated by authorities. THC-cannabis as raw material often imported, e.g. from Bedrocan. 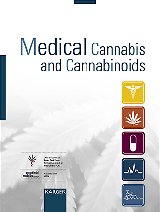 Cannabinoid medicines and THC preparations are distributed by pharmacies, medical cabinets or hospitals; CBD, CBD-cannabis or <1% THC-cannabis via hemp shops, kiosk, discounter etc., but no indication allowed. The market regulation is currently under discussion, for both recreational and medical cannabis (ongoing referendum). Patients are authorized via their physician or clinician; products with more than 1% of THC require a special permit from the FOPH. Very few public pharmacies are qualified and willing to dispense cannabinoid medicines. Main indications are spasticity, pain and neurological disorders, such as epilepsy, rather seldomly mental disorders. The different stakeholders in Switzerland include: Swiss Task Force for Cannabinoids in Medicine (STCM), Swiss Safe Access for Cannabinoids (SSAC), and Medical Cannabis Club Zurich.